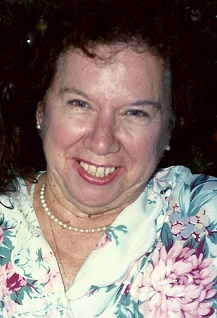 Obituary for Joan L. Bannen | Seamon-Wilsey Funeral Home, Inc.
SAUGERTIES….Joan L. Bannen, 90, of Joseph’s Drive died Thursday, February 7, 2019 peacefully at home surrounded by her four children and loved ones. Born December 27, 1928 in the Bronx she was the daughter of the late Charles and Susan McGuire. An area resident since 1954, she was a parishioner of St. Mary of the Snow Church. Predeceased by her husband, Robert R. (Bob) survivors include 2 Sons: Kevin G. (Sue J.) and Brian (Jennifer) Bannen. 2 Daughters: Kathleen A. Fricke and Sue Bannen all of Saugerties. 10 Grandchildren: Melissa (Tim) Dupree, Dan (Becky) Fricke, Chris (Leanne)Fricke, Bobby, Brett, Sean, Kevin J., Ryan, Connor and Shannon Bannen. 9 Great Grandchildren, dear nieces Debbie Bannen and several nieces and nephews also survive. She was predeceased by her siblings: Rose McGuire, Charles J. McGuire, Jr. and Patricia M. Armstrong. On May 11, 1952 she married the love of her life, Robert R. Bannen, in 1954 the couple moved to Saugerties. Joan was a devoted mother and grandmother who raised and cared for her family unconditionally. She was active in the community. Joan was the past President of the St. Mary of the Snow altar Rosary Society, past President of Barclay Heights Home Economics Club. She loved sports and was a member of the Saugerties Bowler's Club. She has a avid NY Yankee fan. She also loved card games, and played in a weekly Mah Jongg group. In March 1973, Joan lost her beloved husband Bob and then three months later she was involved in a car accident that left her paralyzed. This never broke her spirit and she devoted her life to her children and family. The family is grateful for the compassionate care that was given to Joan by her aide Rosita Morales, Dr. Douglas Heller and Dr. Charles Kutler.